Launching a group program is a great way to move from a 1-to-1 business model to 1-to-many. In fact, online courses have become a $300 billion industry. It’s huge, and I’m seeing more and more business owners creating courses and other group programs--and just killing it. If making this shift or leap is one of your goals, I encourage you to make it happen. But before you start signing people up for your mastermind, group coaching or course, you have to make sure your ducks are in a row. You have contracts for your 1-to-1 work; it’s just as important (if not more so) to have a contract for your group program. 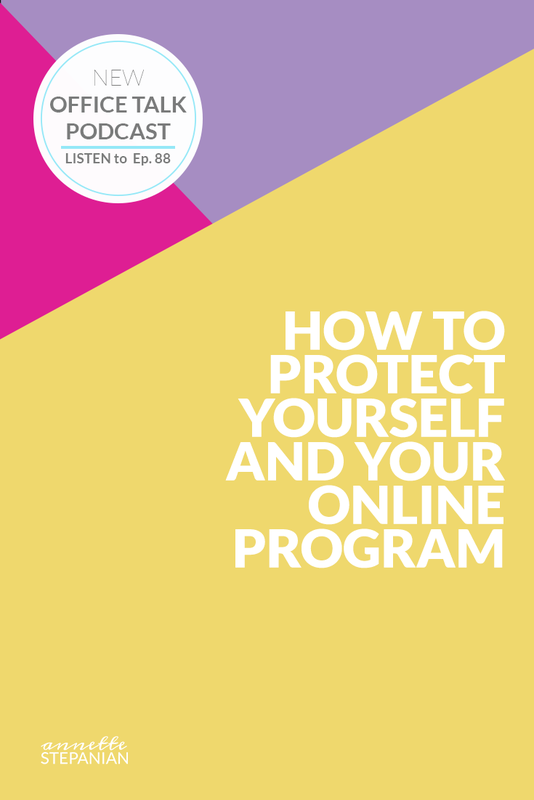 In this episode, I’m sharing the three things you must include in your program’s terms of service and what to consider for each one. Because the terms of service you have on your website just aren’t enough to protect you should something not go as planned with your course. Listen in now, and if you need terms of service for your course or online program, head to my shop to get yours.